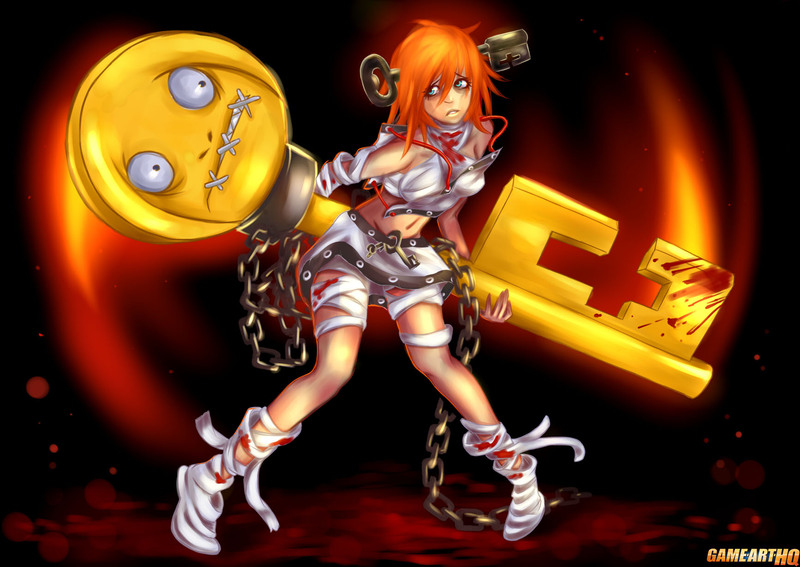 A.B.A is one of the around 20 Guilty Gear series characters and quite a crazy game character design. She is not only a “homunculus” but also in love with a guy who was transformed into this big Key with a face who is used to support A.B.A in battles. In one of her endings, that poor guy is transformed back into a human, but A.B.A holds him in chains so he can’t run away from her….